Home remedies using infused cannabis are gaining popularity due to their effectiveness and their ease of use. Combining honey with specially prepared cannabis makes a sweet and powerful tincture. Honey and cannabis are two of nature's gifts that have long played a part in our development as a society. They have proven to be useful for both recreational purposes as well as relief of minor ailments. Together they make an incredible tincture. 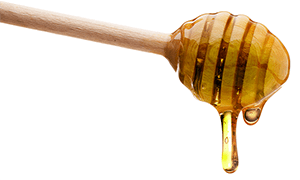 The use of honey as a medicine goes back as far as the ancient Greeks and Egyptians. While Egyptian hieroglyphs often depict images of the bee, the earliest illustrations of beekeeping date back to 7000 BC. It was the discovery of Egyptian records that showed how widespread the collection of bees and harvesting of honey had become. It was used as a healing aid for sores and ulcers, and consumed in syrups and elixirs for general health. These practices spread to the Greek Islands where Hippocrates himself combined honey and other ingredients to make topical ointments. As science revisits history's embrace of honey as a medicine, society is once again looking to harness its beneficial properties. Combining honey and cannabis will allow you to access their healing properties in this sweet and easy to make tincture. Honey itself is an incredible creation of nature. It has the ability to sustain life, containing all of the essential elements required to survive. Honey has been found to have incredible anti-inflammatory qualities and is able to kill most bacteria and pathogens. The US Food and Drug Administration actually approved a honey based product for use in treating ulcers and skin abrasions. Needless to say, honey has a rich history of medicinal use. While studies are currently underway, many nations have already acknowledged the historical use of cannabis for its medicine-like properties. Some places like Colorado in the US, allow for the purchase of cannabis under the direction of a doctor. It is believed that the THC and CBD found in cannabis hold the keys to its potential for use in medicine. Many consumers claim that cannabis helps with a range of ailments from chronic pain to nausea. Some claim to use cannabis in order to get off of harmful prescription drugs. Learning to use cannabis for homemade remedies is a safe and effective way to find natural relief. If you want to eat your cannabis, or the goodies you make from it, then you must put your herbs through a process called decarboxylation. Without getting all technical, the decarb process involves converting the non-psychoactive THCA into its psychoactive offspring, THC. It's not as hard as it sounds. All it takes is a little heat. In order to achieve this, you need to slightly cook your weed. As always we'd recommend a Pyrex dish, but a metal baking pan will do. 1. Set your oven to 120°C. Make sure to pre-heat your oven until the desired temperature is reached. 2. Evenly spread your cannabis around your pan. Depending on how potent you want your tincture, use at least one ounce or more. Make sure you are using shake or finely ground bud. 4. Place your baking sheet in the oven for 30 minutes. That wasn't so hard, was it? Even you can be a cannabis chemist in your kitchen with having to get the degree. Since you are going to be using this newly decarboxylated cannabis for your tincture, you shouldn't have to worry about storing it. If you do decide to put some way for later, always use an airtight glass jar. Now that you have your cannabis ready to go, let's move on to making the tincture. 1. Take your decarb cannabis and wrap it in a thick or double wrapped cheesecloth. Fasten your cloth so as to keep your cannabis inside. You can do this by twisting or tying the ends. What you are really looking to do is make a large weed teabag. 2. Place your carefully fastened weed-bag into your slow cooker. Depending on how potent you are looking to make it, you can add anywhere from 500g to 2kg of honey. The less honey, the more potent. 3. Place your temperature dial to low. You don't want to cook your tincture too high as it will boil and burn, leaving you with a hot sticky mess. 4. Depending on how hot your slow cooker gets, you will want to let your honey and cannabis satchel simmer for anywhere from 4-8 hours. Stir occasionally to get good coverage. Check on it periodically to make sure it is not boiling. If it is, you can turn the slow cooker off for a short while. 5. After the tincture is done cooking it needs to cool. Feel free to leave your savoury creation overnight to ensure it is cool enough to handle. 6. After it has cooled, remove your cheesecloth bag of decarb cannabis. It is going to be fully saturated so you will want to squeeze the remaining honey back into your slow cooker. 7. Pour your tincture into as many airtight jars as it takes. 8. Once your tincture is complete and jarred up, be sure to refrigerate it for long term storage. Now that your cannabis infused honey tincture is complete, you can add it to coffee or tea or any recipe that you like. You will enjoy the soothing effects of the tincture any way you consume it. For more information on cannabis home remedies, check out our article on Cannabis Tinctures.